Last night we attended a really fun event in Denver. It was the premiere of a short surfing film called The Cradle of Storms (trailer above). 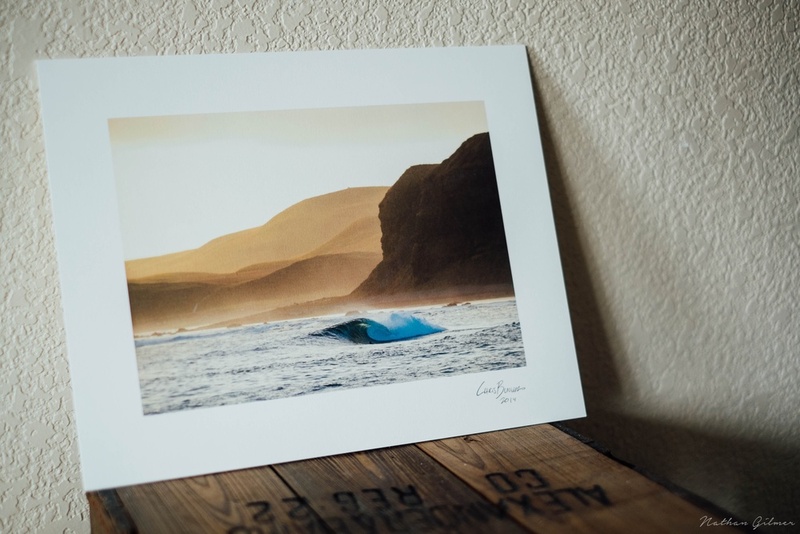 Chris Burkard is an amazing staff photographer with Surfer magazine. Him and three surfers trekked up to the Aleutian Islands in Alaska known for its treacherous weather and surfed in some of the most amazing scenery. Chris presented a slideshow before the film with a bunch of pictures from the trip and told some great stories. His photographs are beautiful and it was really an honor to see him present his work. The turnout was amazing. They were all pretty surprised that so many people inland would show up to a surf film and we decided that snowboarders and surfers are basically the same people who just grew up in different places. Topo Designs and Artifact Uprising were both sponsors of the event. They were raffling off several things and I REALLY wanted to win one of Chris's signed photographs on Artifact Uprising's new Signature Print and Courtney REALLY wanted to win this pack from Topo Designs. We bought 2 raffles and both won exactly what we wanted. Crazy right? It was a really fun and inspirational night. Made me want to get out and shoot some photos which is always a good thing.